Joan Crawford took charge of her career as she aged out of the ingénue roles that propelled her to stardom, developing stories and pursuing properties that offered strong characters for a mature woman. 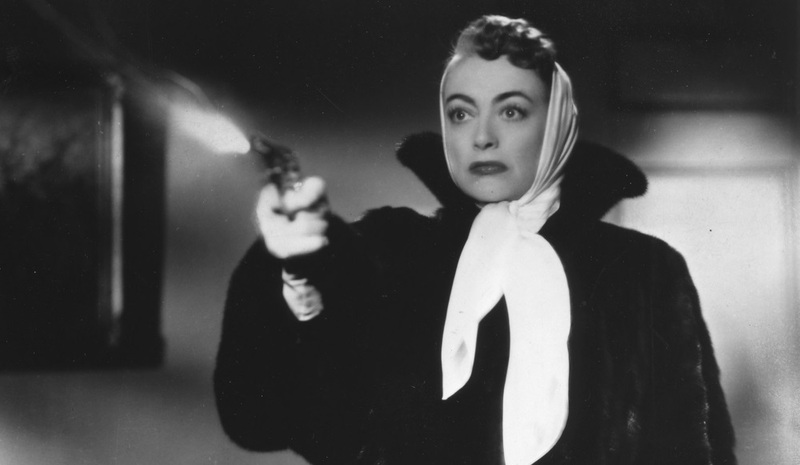 She gave herself a second act when she fought hard for Mildred Pierce (1945) at Warner Bros. and seven years later, as Warner was content to sideline her as long-suffering women in second-rate projects, she took charge again by leaving the studio to pursue more interesting parts in more promising projects. 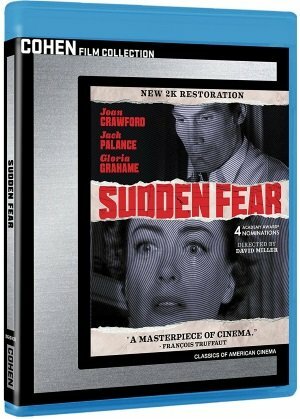 Sudden Fear (1952) (Cohen, Blu-ray), her first film after being released from Warner Bros., features Crawford as middle-aged San Francisco heiress and successful Broadway playwright Myra Hudson, who is wooed by the handsome (and younger) Lester Blaine (Jack Palance), an intense New York actor she rejected as leading man in her new play. They marry after a whirlwind romance on a cross-country train ride and a San Francisco courtship but despite his protestations that he’s not a man to live off of his wife’s money, that’s exactly what he intends. When he discovers that he’s all but left out of her new will, he schemes with his mistress (Gloria Grahame) to murder Myra before the changes are finalized.